FROM 18 JULY IN CANBERRA, POSTER EXHIBITION at the National Library of Australia, running until 12 February 2018, WAVING THE RED FLAG: CHINESE POSTERS 1949-1976. 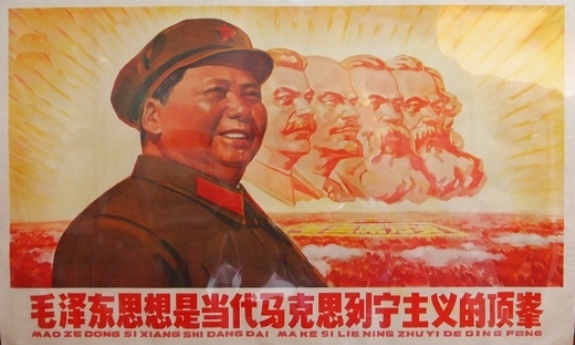 The authorities in the early decades of the People’s Republic of China used posters to instruct and mobilize the general populace. Artists at first adapted existing styles to communicate communist ideals but later the dramatic poses of socialist realism came to dominate official imagery. This peaked during the high tide of the Cultural Revolution, but other visions of prosperity continued to circulate. Together these posters trace the vicissitudes of political campaigns that continually rolled through the country. Please note the images used are not from the exhibition, as the NLA images were all locked.